Netflix Confirms Bright Sequel, Will Smith to Return | Nerd Much? The streaming "blockbuster" is just the beginning. 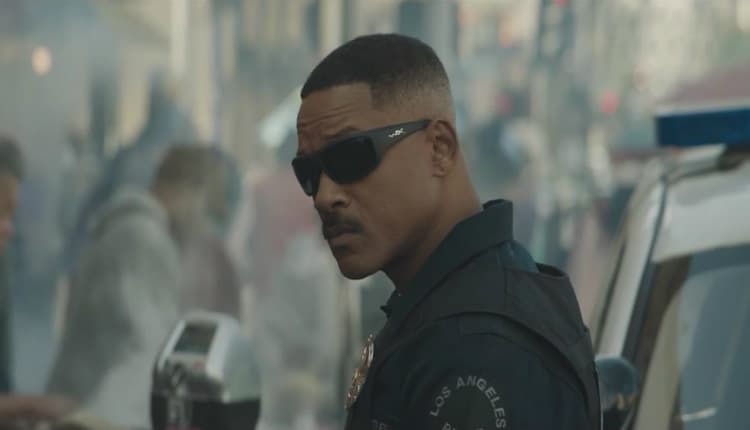 Bright hasn’t even hit Netflix’s streaming services yet, but the company is ready to lock down the future of the franchise. According to Bloomberg, the blockbuster which will never see theaters apparently already has a sequel planned. And Will Smith is attached for that outing as well. Bright is written by Max Landis and stars Smith and Joel Edgerton. David Ayer directed the film, which puts our characters in an alternate Earth that features the existence of Orcs, Fairies, Elves, Centaurs, Dwarves and more. Smith plays a human cop while Edgerton portrays his Orc partner. Both are seeking a powerful magic wand that if fallen into the wrong hands could lead to disastrous ramifications. The release is Netflix’s biggest to date. Bright is a true big budget film that will never hit the big screen, only Netflix customer’s televisions. The company is hoping the release will signal a game-changing radical upheaval of the current film market. And with $8 billion budgeted by Netflix to produce 80 movies for 2018, they may have the ammunition to actually make it happen. The initial film hits Netflix tomorrow, December 22nd. And while Bright’s release is a big deal just from an industry point of view, reviews have been a bit rough to this point. Bright currently holds a 28% on Rotten Tomatoes. The film’s budget came in at around $90 million. But due to Netflix’s notorious lack of transparency as far as viewers and subscriptions go, we’ll likely never know if Bright – or its sequel – will end up being a success for the streaming goliath. One thing is for sure, Netflix isn’t scared. And they’re coming for theater chains. “What you can do in your living room is as good as what you get in a theater or any viewing experience,” Richard Smith said, Netflix’s Senior Technology Specialist. And with an $8 billion budget like Netflix is touting for 2018 – they may have the library to beat out theaters too.